You can snag these free Winter Notebooking Pages at Currclick. 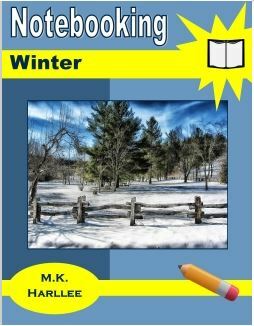 Notebooking Winter contains 109 pages to use for journaling, copy work, dictation exercises, spelling, reports, and winter nature/science studies. Each design has three options, so you can print only the pages you need whether you’re teaching elementary, middle, high school, or a combination.